At SCBHS, we offer a convenient, comfortable, and private place for you to have your outpatient IV therapy. 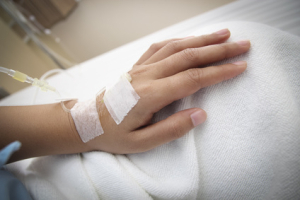 Patients requiring long-term antibiotics, blood or platelet transfusions, chemotherapy, IV fluids, or other infusions can receive them on an outpatient basis, reducing the need for an extended hospitalization. Outpatient IV therapy is available 24 hours a day/7 days a week.